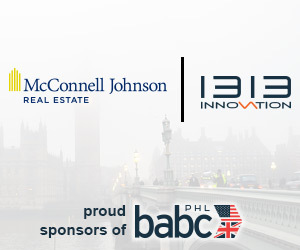 On Wednesday, July 26, 2017 the British American Business Council of Greater Philadelphia (BABCPHL) partnered with the Asian, French, German, Hispanic, Irish, Israeli, Italian, Russian, Norwegian, and Swedish American Chambers of Commerce for the Seventh Annual Summer International Business Networking Reception. Nearly 300 global business executives gathered at the National Museum of Jewish History for this annual meeting of the who’s who of international relations in the Greater Philadelphia region. Councilman At-Large, David Oh was the featured speaker. Special thanks to the Chilean Chamber for organizing such an important program for the international business community and to event sponsors: Aramark, DRS, Fox Center for International Business & Research, Klasko Immigration Law Partners, Santander, and Wouch Maloney & Co. LLP. Filed under Frontpage News, News, Past Events.